The classic style of this 9′ Brunswick Anniversary meshes perfectly with the contemporary design of this Manhattan Beach, California home. 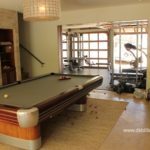 This 60 year old pool table could easily be mistaken for new, its condition is so spectacular. 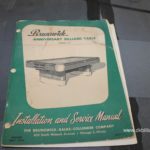 The rosewood formica was in exceptional condition, as was the aluminum trim. The original red bucket pockets and cushion rubber still have years of life left. 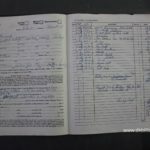 It even came with all of the original documentation including the bill of sale. We installed a neutral Steel Grey cloth to subtly accent the trim while letting the rosewood remain the star of the show. 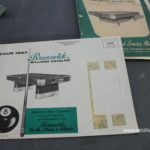 Collectable antique tournament billiard tables aren’t incredibly common, and finding one in need of little repair is virtually unheard of. 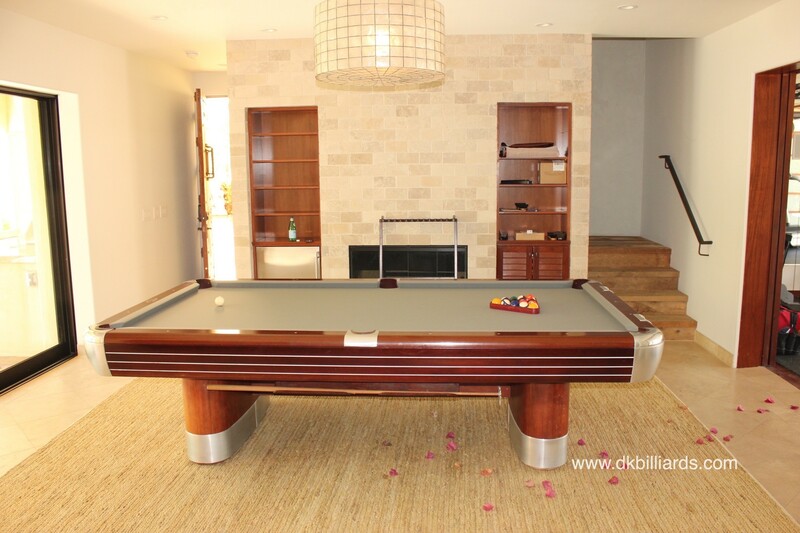 Many of these tables were played hard billiard parlors. Most are at the very least dinged, worn, damaged by cigarettes or all three. Our customer’s Anniversary places you right back to 1957, racking up the balls on a brand new table. The Anniversary isn’t a table that is “stocked”. It is considered an antique and must be purchased as such. We don’t currently have any Anniversaries for sale.